Although these tasks may seem easier said than done, any problem can reach a productive resolution with a good plan. 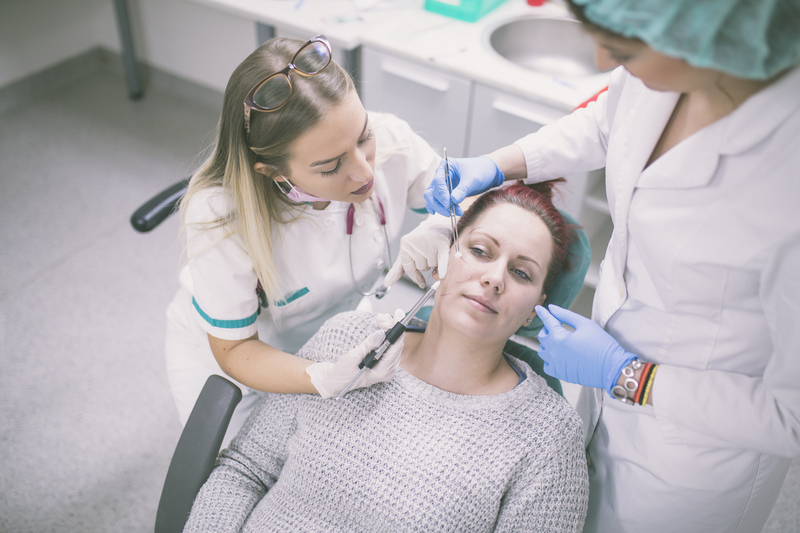 While it is prevalent for many individuals to feel like they cannot overcome their issues with their smile, a treatment plan is where a full mouth reconstruction from our team begins. A wide variety of dental approaches exist to help individuals repair their damaged teeth. Nevertheless, depending on the severity of a patient’s condition, full mouth reconstruction may involve a series of restorative and cosmetic dental procedures. Dr. Andres de Cardenas discusses all of the potential options available to his patients. Working together with his patients, he can design a comprehensive plan for repair. It doesn’t matter if an individual lost teeth due to gum disease and decay, or an unfortunate accident, dental restoration and mouth reconstruction can fix the problem. Dr. de Cardenas creates solutions, ensuring that the right plan remains in place to solve dental problems based on a patient’s needs or goals. This guarantees that the individual remains involved during each step of the process. How Does Mouth Reconstruction Work? 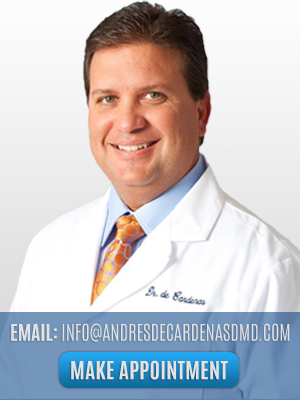 A crown is a cap that Dr. Andres de Cardenas implements to cover a damaged tooth. They protect the tooth from further wear while imparting a natural look. Sometimes, patients additionally require a bridge to secure dental crowns on each side of a damaged tooth. Unfortunately, damaged teeth only worsen over time without proper dental intervention. These circumstances commonly lead to more severe complication as time goes on. Cracked, chipped, broken, and missing teeth also look pretty bad. This is where Dr. de Cardenas can employ dental veneers to help. Veneers serve both as a cosmetic and restorative solution. Dental veneers protect damaged teeth from further problems. They also look natural, creating a repaired and beautiful smile. Dr. Andres de Cardenas will administer dental implants for some patients that remain without many teeth or a row of teeth. Implants insert into the jawbone to help maintain the structural integrity of a patient’s face, as well as the remaining, healthy teeth. This strong and enduring treatment makes them the ideal option in tooth replacement. Dental implants benefit not only the appearance of a patient’s smile but also the overall function of their jaw as well. These only represent a few potential options for those that are missing teeth. Fortunately, Dr. de Cardenas provides many durable dental solutions. Our dental practice’s applications enable patients to smile and eat the foods they love with confidence. Utilizing a mouth reconstruction treatment ensures that teeth don’t shift around while maintaining the overall integrity of the mouth. For more information on a mouth reconstruction from Dr. Andres de Cardenas and his dedicated practice, contact us today to schedule an appointment!